Description: Sierra Pacific Crafts Decor has products ready to personalize, and create one of a kind items. Plastic Spray of Pine & Cones 72 in. 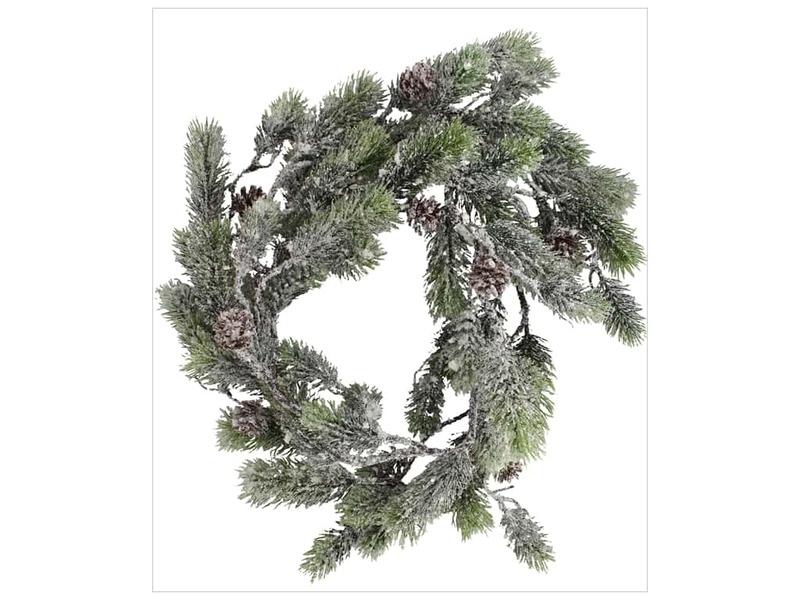 Green/White- Plastic pine garland with pine boughs and pinecones. Covered in fake snow and silver glitter. Measures approximately 3.75 in. x 72 in.